If the conversation between the drivers heard the phrase: "to touch the engine", "engine overhaul", it means that the engine has had its day. As a rule, the repair process of the car Assembly most of the parts of the old engine throw away, replacing them with new ones. How to remove the engine with the "classics"
Remove the engine. Then remove the bolt for attaching the frame, which is installed for removing the engine. Then loosen the clamp and disconnect the hose to the fuel pump. Unscrew the nuts securing the fuel pump, then remove the pump, spacer (it is installed under the pump) and gasket (located between the BTS and the spacer). Then remove the wires going to the spark plugs, and Unscrew the nut that secures the ignition to distribute. Remove the record of the PRC. Disconnect the hose from the vacuum regulator, then remove the distributor. 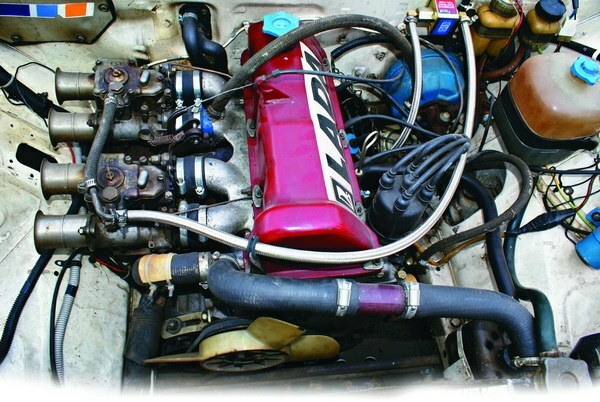 Then remove the alternator and remove the belt from the pulleys, and then remove the hose of the carb and hose, designed to supply vacuum to the vacuum regulator, and hose of the crankcase ventilation system. Carefully loosen the oil filter, remove the breather plug, then remove the pressure sensor, then the crankshaft pulley. If left on the BC strip, take it off. Then unfold the petals of the locking washers. Remove cylinder head retaining bolts and remove the flywheel. Then remove the oil pan gasket and the pump itself. Then remove the drive gear and the oil separator with a drain tube. Remove pistons and rods, then remove the crankshaft bearing cap and crankshaft. Remove all connecting rod bearings and the top compression ring. Then remove the remaining ring and pull out the piston pin. To knock the piston pin, arm hammer. But this should be done carefully so as not to damage the item. For the processing unit will need a lathe: boring can take several hours. For pressing a new finger in the pots heat the oil in the connecting rod journal. Then put them on rings. After replacing all defective parts, build the engine in the reverse order. Turning over the engine, be sure to replace the liners, even if they look new and seem to change these pads yet. The connecting rod is processed simultaneously with the connecting rod cap.